There’s nothing like applying a face mask after a long, busy day, so I’ve decided to try it this evening. Although, considering that I had a day off today and I was kinda watching Netflix and Youtube all day long, I guess I weren’t that busy whatsoever… but, honestly, I just couldn’t wait to test it. So, let’s just say that every day is a good day for a little bit of relax and a face mask. It’s says on the packaging that this is super hydrating, de-tiring mask. Intensely rehydrates, reduces, reduces the appearance of fatigue, relaxes the senses. (Sounds promising). 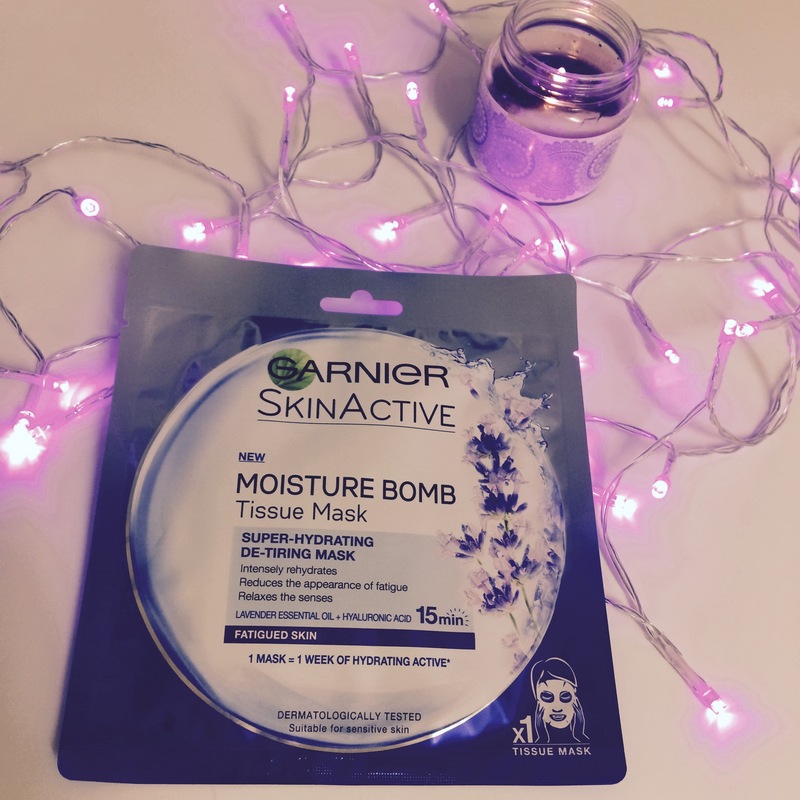 Enriched with lavender essential oil and hyaluronic acid (which is common ingredient for all Garnier tissue masks), it’s especially recommended for fatigued skin. And my thoughts? Well, first of all, it smells so nice. It really is relaxing. I love the scent of lavender (I love lavender in general, but you may have guessed that at this point). Instructions are pretty much same as for all tissue masks: apply on a clean face, the blue protective film must be on the outside (I always get a little confused at this part though), remove the blue film, adjust the mask and leave it on for 15 minutes. It sticks perfectly to the skin. I can’t talk or laugh, but I’m able to move around freely. I actually wrote this post up to this very point while wearing it. 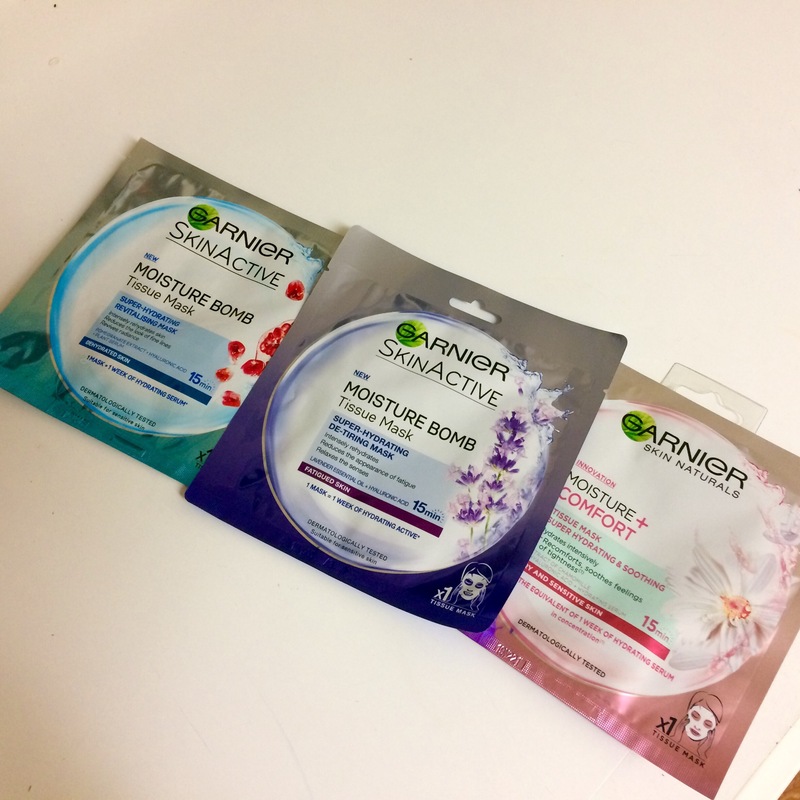 Now, after removing other masks I always had some essence left on my skin (sometimes quite a lot of it), but this time it seems like it absorbed rather quickly, as there was literally no liquid left on my skin after I took it of. I have to say, it works exactly as promised. Makes my skin soft and supple, it is indeed super-hydrating. Those little fine lines are smoother and my face looks kinda dewy. I like that a lot! Suitable for sensitive skin (like mine), very moisturizing, easy to use and smells amazing. 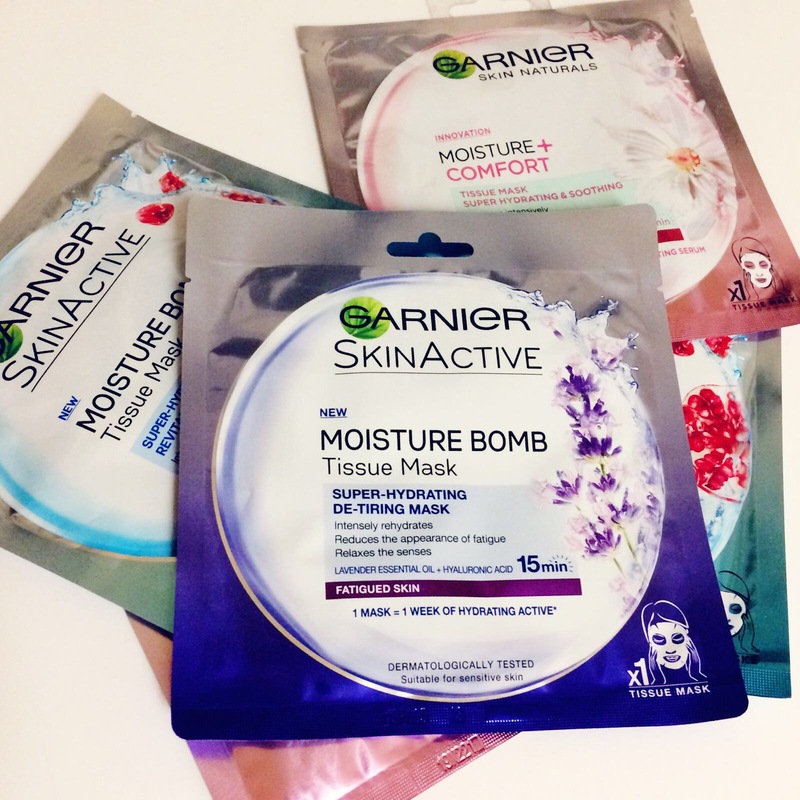 Another great product from Garnier and yet another one to be added to my list of best face masks. Definitely will use it again and again!